Alzheimer’s will be hosting a Lunch & Learn, the info shared is always very interesting!! 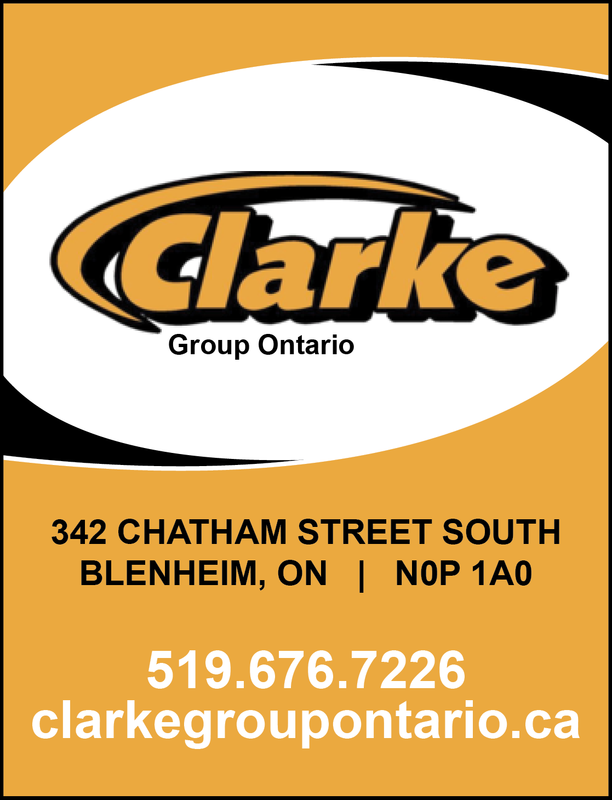 We ask that you sign up in advance, please call Bobbi-Jo at the Centre 519-676-3894. October has fun things to do!! 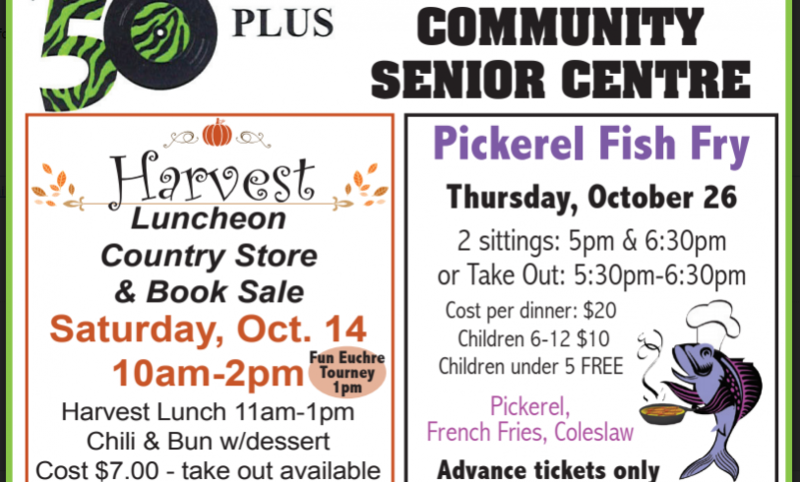 Oct 14th , Join us for Our Harvest Lunch & Country Store! Canning, Fresh Produce, Book Sale & Items from Our Craft Corner!! Come for Shopping, Stay for Lunch and Wrap up with a FUN Euchre Tournie !! 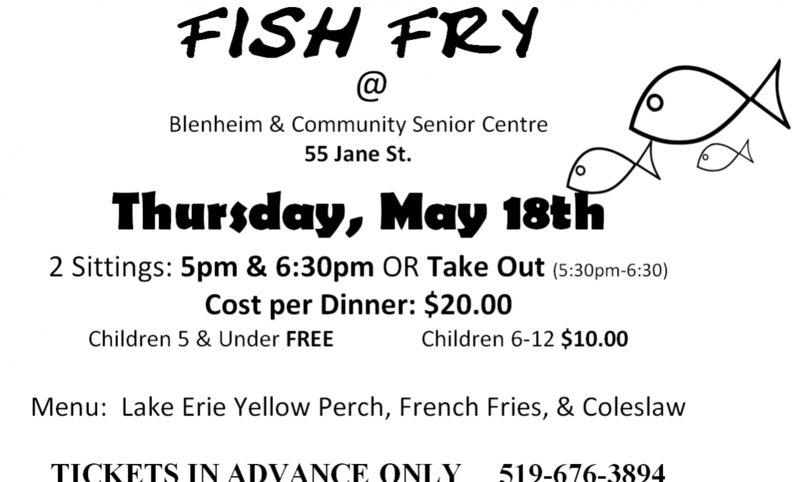 Oct 26th Join us for Our Fish Fry – Tickets Are Now Available!! 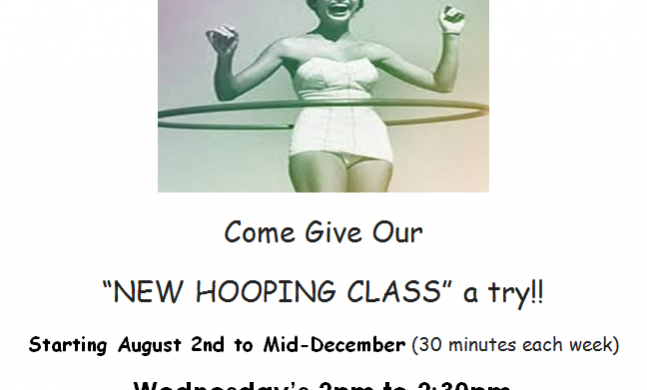 We have a New Hooping Class starting Wednesday August 2, 2017 Class time is at 2pm Following Our Line Dance Class!! Come Out & Give it a try!! 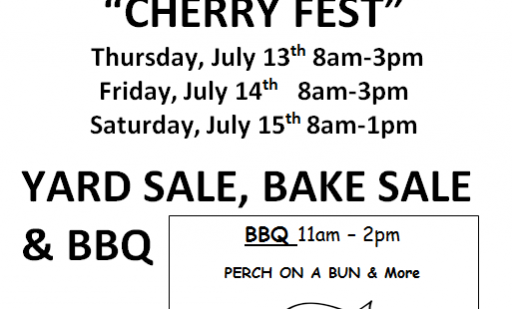 We have TONS of excitement going on during Blenheim’s Cherry!! Thank You to All who took on the Challenge!! 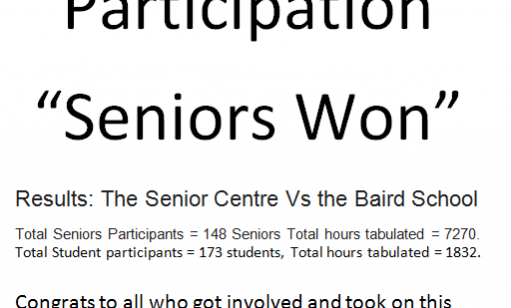 Your Efforts in Charting paid off and we were Shocked at how active Our Seniors are!! 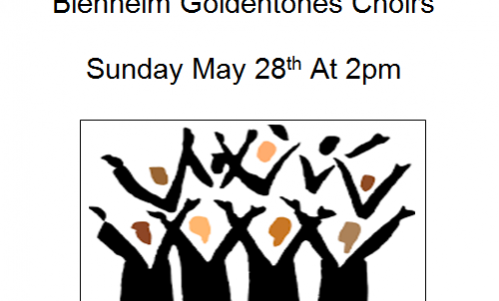 The Blenheim & Ridgetown Choirs have been working together to Share with you a beautiful afternoon of Gospel Music. The Choirs Melodies make for a great way to spend a Sunday afternoon!! Everyone is welcome and bring along Friend! Free Will Offering is Suggested. 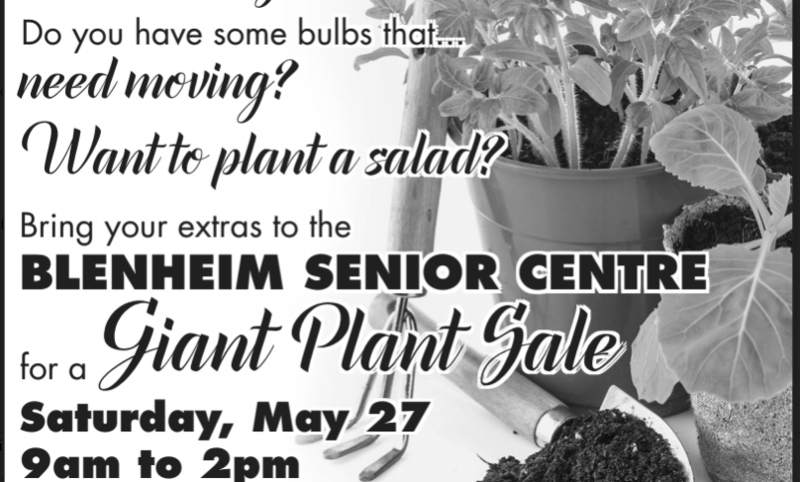 We are so excitied to be hosting a plant sale!! Come and pick out something new for your garden!! Please Spread the Word!! We have Plants! !